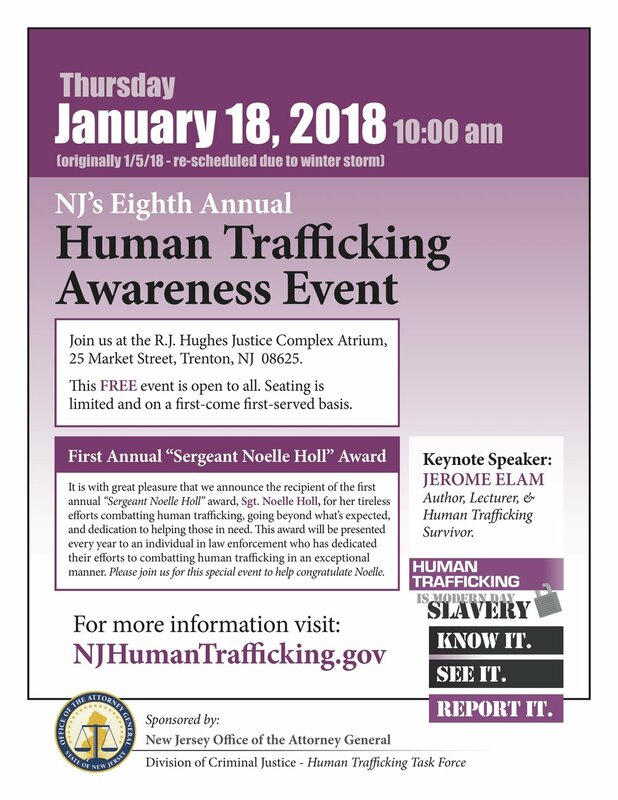 NJ Human Trafficking Awareness Day is rescheduled for Thursday January 18, 2018. Same time, same place. 10:00 a.m. in the main atrium (P1 level) of the R.J. Hughes Justice Complex, 25 Market St., Trenton, NJ.